1- The wording is general, therefore; it is not permissible to restrict it to certain persons rather than others except with proof and there is no proof on this. As for the Hadith narrated on the authority of ‘Ata’ Ibn Yasar: “Sadaqah (i.e. 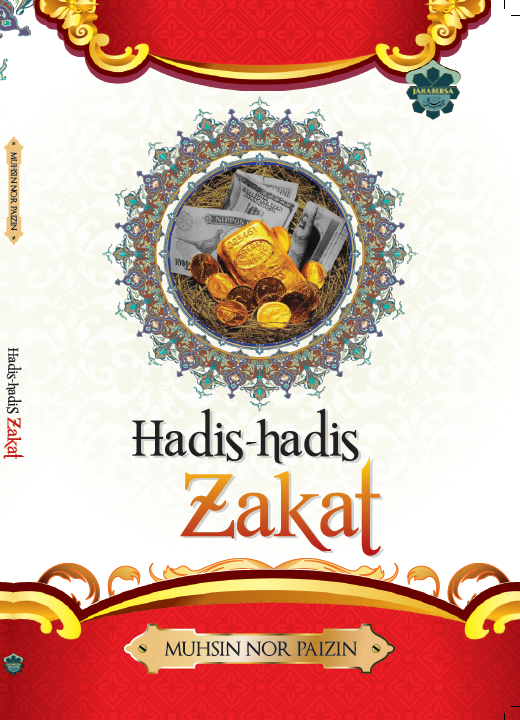 Zakat) is not permissible for any rich person, except for five…” [Narrated by Abu Dawud & Ibnu Majah]. He mentioned among them: (The Mujahid) specifying that it means the one who fights in the cause of Allah, this is untrue since the Hadith indicates that Mujahid is included in the lot of Allah’s Causes even if they are rich and because the Causes of Allah are numerous and unrestricted to Jihad. 2- The mentioned Hadith and Athar (narrations from the Companions) promote the generalization of the meaning of Allah’s Saying (Exalted be He): “…and for Allah’s Cause,” [Al-Quran, surah at-Tawbah, verse 60], The Sunnah has also considered Hajj and ‘Umrah (lesser pilgrimage) as two ways in the Causes of Allah. This is clarified in the Hadith of Abu Las and Um Ma`qil in addition to the Hadith of Ibn ‘Abbas in which it is mentioned: “If you let her perform Hajj on it, that shall be in the cause of Allah”. Further, many Athar has been reported by some Companions of the Messenger of Allah (peace be upon him) considering that Hajj is one of the causes of Allah. Abu `Ubayd mentioned in his book “Al-Amwal” (Wealth) with his Isnad (Chain of narrators) to Ibn ‘Abbas (may Allah be pleased with both of them) that he did not see a prohibition for a man to give another from their Zakat money for the purpose of Hajj. Also what was related by Abu `Ubayd with a Sahih (authentic) Isnad to Ibn ‘Umar that he was asked about a woman who bequeathed thirty Dirham in the cause of Allah saying: “Would it be paid in Hajj?”. He said: “It is in the cause of Allah”. “He claimed that a man amongst Al-Ansar (the Helpers, inhabitants of Madinah who supported the Prophet) who is called: Sahl ibn Abu Hathmah told him that a group of his people went to Khaybar and dispersed therein. They then found one of them murdered. They said to the people among whom he was found: “You killed our companion”. Those people said: “We did not kill him or even know who did that”. Thereupon, they headed for the Prophet (peace be upon him) saying: “O Messenger of Allah! We went to Khaybar and one of us was murdered”. He (peace be upon him) said: “Let the older among you proceed [to speak]”. He told them: “Would you bring your proof against the killer?”. They said: “We have no proof”. He then said: “Then let them (the defendants) swear”. But they said: “We do not accept the oaths of the Jews”. Allah’s Messenger did not like that the Diyah (Blood-money) of the killed one would be lost (without compensation), so he paid one-hundred camels of the camels of Zakat as Diyah.” [Narrated by Al-Bukhari]. Ibn Hajar said: “It was mentioned in the narration of Ibn Abu Layla: He paid him the Diyah.” Some combined both narrations by indicating that the meaning of his saying: “He paid” means ‘from Bayt-ul-Mal (Muslim treasury) i.e. Which is allocated for national benefits. Ibn Hajar added: “Some had interpreted it according to the apparent meaning. Judge `Iyad narrated from some scholars that it is permissible to pay Zakat in public benefits.“ He quoted this Hadith and others as evidence. I said: “some of this was previously mentioned in the chapter of Zakat and in the speech regarding the Hadith of Abu Las who: said: The Prophet (peace be upon him) made us ride on the camels of Sadaqah (i.e., Zakat) during Hajj. Based on this, saying: “He paid” means from the money under his disposition and ruling to avoid incurring the man’s Diyah on the Jews or others. Al-Qurtuby also said in “Al-Mufhim”: “The Prophet (peace be upon him) did that by means of his generosity, good sense of politics, bringing of benefit and warding off evil to make peace between them especially on encountering hardship in reaching the truth”. 3- The expression of the Prophet (peace be upon him) with the letter “Min” (of) in the Hadith of Ma`qil in his saying: Hajj (Pilgrimage) is one of the causes of Allah indicates that the cause of Allah mentioned in the Ayah of the categories of Zakat is general and that it includes several things among which is Hajj. Similar to the Prophet’s expression; Ibn ‘Umar also said about Hajj: ‘It is one of the causes of Allah’. Accordingly, our point of view is summarized in the following: Taking into consideration the maintenance of other categories of Zakat, the lot of Allah’s Cause includes all other public benefits, but the most important is to have readiness for fighting the enemies of Islam by buying weapons of all types, equipping the Mujahidin, feeding the soldiers, and the like if there is not enough money for this in Bayt-ul-Mal. Also, one of the greatest public benefits is sending the delegates to call to Islam and clarify its rulings in addition to fighting the callers to delusion, disbelief and destructive principles.